The British Empire took control over Cyprus in 1878, however de jure it was the territory of the Ottoman Empire till 1914. In 1925 Britain proclaimed Cyprus to be a crown colony. Population of Cyprus consisted of Greek Cypriots and Turkish Cypriots, who started the movements towards enosis (incorporation of Greek communities to Greece) and annexation of the island by Turkey. Since Turkish Cypriots were only about 20% of total population of the island, the annexation was impossible. Political and religious controversies between Turkish and Greek Cypriots led to a 4-year guerrilla war. The struggle was ended only when the London and Zurich Agreements were signed on February 19, 1959. 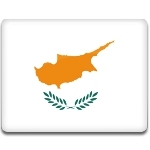 According to the agreement, Cyprus would proclaim independence on August 16, 1960 and gain it on October 1, 1960. Celebration of Independence Day in Cyprus includes various festivals and parades, organized by military officers and schools. A special open event is held at the President's Palace, marking the end of the festivities.